IT IS A PRIVILEGE AND HONOR for the Editor of the Chronicle to be the main author of the biography ” “Erico Boyles Aumentado: A Great Boholano Leader”. The book was launched at the Fort Ridge In Dauis last Thursday, May 18, 2017 which would have been the late governor and representative ‘s 77th birthday. He died on Christmas Day of 2012. 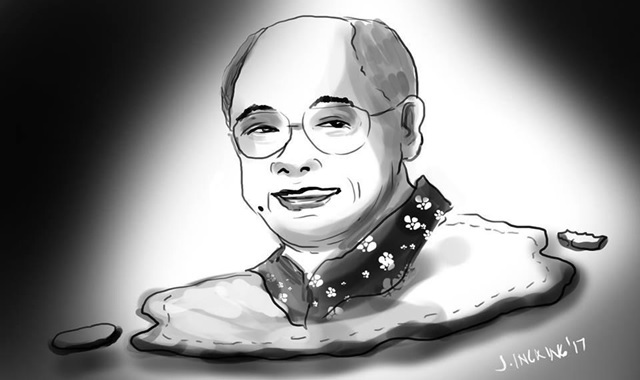 Nong Erico ,as many called him, had started writing a few pages of what would have been his autobiography. The fact that he did meant two things. First, he wanted his life story to be retold and retold to future generations in the hope that it will provide inspiration to them to follow his path in dedicated public service and total dedication to the Motherland. Second, he probably felt in his bones and limbs, that his end was near. Arguably the second most prominent Boholano next to former president Carlos Polestico Garcia, Aumentado contributed the most to Bohol’s benefit both in his nine years as governor and twelve years as congressman. The Chronicle is immensely proud of him- being a part of us as a hard-hitting columnist for 15 years in ” Between Extremes”. There is also one other reason why we accepted to write his biography. ” Though the Press made virulent and scurrilous attacks on Jefferson’s conduct as president and his morals as a man, Jefferson, nonetheless, retained his conviction that the press’ contribution to democracy- is essential to its survival. And, therefore, the Press must never be tampered with- whatever the provocation. It is not debatable that Aumentado was of giant national stature as a politician. He became Deputy Speaker of the House and was the national president of the League of Provinces of the Philippines (LPP) and the head of ULAP ( Union of the Local Authorities and once a leader of the powerful Visayas Bloc in Congress. Even as a young board member, the late president Garcia already foresaw the great potential of the orator-writer-lawyer from Ubay. As did two other later presidents: Gloria Macapagal Arroyo and Fidel V Ramos -who were both so impressed by his leadership skills and patriotism that they readily agreed to write the Foreword of the book. Former speaker Sonny Belmonte wrote the third Foreword. And if we had not run out of time, we are certain we could have convinced former senate president and speaker Manny Villar to pen the fourth one. Erico Aumentado rose from humble beginnings as a fisher folk to become a man of national importance. As a politician, he had few equals. From campus politics at the then Rafael Palma College to 2010, he won each and every single political battle-save none. He had wit ,charisma and a gift of gab -in both English and Visayan. He was a workaholic and demanded “only the best for Bohol”. He was fatherly but stern with his staff and never did tomorrow what he could do today. Duty first-before pleasure. He was responsible for passing many landmark legislation – that for years till today- benefit millions of Filipinos. Aumentado yanked Bohol out of the infamy of being one of the poorest 20 provinces in the nation to one of progress and pride. His mega projects involving power connection, mega dams (that made Bohol a rice exporter to other provinces) and the Circumferential and Tourism roads fueled the Bohol economy into unprecedented heights. 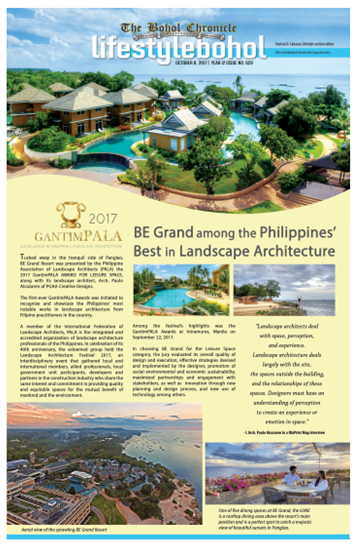 It was in his wake in 2007 that former president Gloria M Arroyo laid the time capsule for the erection of the modern Bohol Panglao International Airport costing P7.2 Billion . It will commercially open in June 2018. He was Mr Tourism Marketing Man and adept at securing funds for the province. For he knew how to save counterpart funds to multiply his fund sources and knew ODA (Official Development Assistance) route like the palm of his hand. Erico ended the insurgency here -and transformed Bohol into a model of peace and order. For that he was almost fatally ambushed coming out of the Capitol towards lunch at home. He was a civic leader and found his way back to spirituality in the twilight of his years- thus winning the only battle worth winning in the end- the battle for one’s soul. He was such a loving family man, wife Grenie and grandchild Atty Jammie Villamor would affirm. When a man is as great as a he was, it is always hard to be humble. But is a always a source of fascination that Erico’s trademark was one of humility, self-effacement and a continued heart for others especially those who had less life. He was always pressing flesh, patting backs and punctuated this with the famous disarming Erico brand of smile that closed his chinky eyes. Aumentado was virulently against political dynasties- aware of the dangers and the temptation to arrogate power and influence to a family. Only his untimely death ushered the heir apparent- Aris, the youngest- to wear his large sandals. Day by day- from strength to strength , he was become a striking replica of his Dad Today Sunday – let us keep Erico Aumentado in our mass prayers. Whether we acknowledge or accept it, he has helped make Bohol into what we enjoy today – peaceful, progressive and mindful of others. May his tribe increase. Shalom!